Morning Data is delighted to be recognized in the Venus ‘Employer of the year’ awards. Kirstin Duffield has reached the semi-finals of this prestigious award for the work she has done at Morning Data to ensure all employees are given the opportunity to flourish and given the flexibilities they need to bring their whole selves to work. The philosophy here is to encourage all staff to perform to their best by allowing them flexibility and providing them with the support they need to feel comfortable at work. Morning Data promotes the individuality of staff and recognizes that everyone has something to contribute, whilst welcoming ideas from everyone equally and without the constraints of hierarchy. Progression through job titles is interesting in a smaller organisation, there is not always an obvious promotion route when the management structure is purposely very flat, but everyone is supported with leading projects where appropriate, irrespective of seniority and following that up with company wide recognition for good work as part of the culture. Morning Data has always supported flexible working, ensuring in house systems support working from home. Whilst the office interaction is essential, there are times when, it is more convenient for people to work from home due to family responsibilities or out of work commitments. Results over clock-in culture supports staff to fulfil their work life balance in the best way for them whilst benefitting the organisation at the same time, win-win. Culture is important, particularly around support for challenging times in life. Not only when there are physical health issues but also mental health challenges. An open philosophy to mental health, something rife within the IT industry, means talking about this is not a challenge. Morning Data has a “Health and Wellbeing” program in place to encourage the development team to stay fit and healthy by contributing towards their gym membership, exercise classes or fitness equipment, and as the office is somewhere you spend many hours a week, the environment is important, with sofas and space and of course bringing your dogs to the office. Everything the company can bring to the party adds to the team’s experience but in turn that team must develop and evolve, the work and market doesn’t stand still, especially in IT, as such Morning Data creates a cultural focus on learning. Many people think they leave school or university and that is the end of education, but by ensuring everyone is on a tailored learning path, the skills are continually developing, not just IT skills but also developing and extending their knowledge of our client’s industry, Insurance. So, everyone is put on a program to achieve their insurance qualifications from the CII after which they embark on a furthermore tailored learning program. We want to encourage development outside work and staff are actively encouraged to peruse their interests, whether that be training for sporting events, volunteering or kite surfing! We have an Armed Forces Reservist policy to allow those members of our team who are active in the Armed Forces Reserves to fulfil their commitment to that. Morning Data strives to create a work-life blend that allows work to be an enjoyable part of life rather than a chore. As we grow we continue to reassess our policies to ensure all our staff feel valued in the way that is right for them. 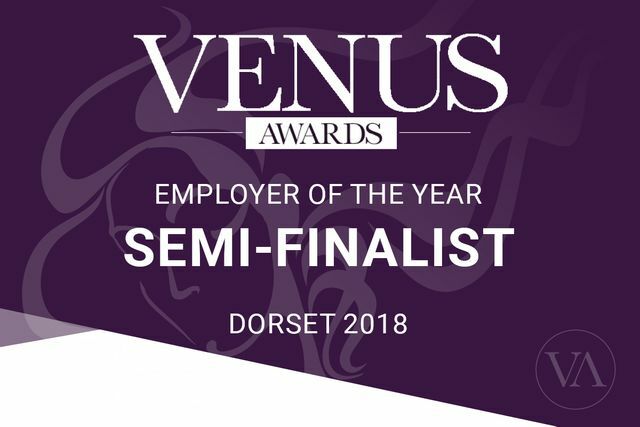 We wish all the semi-finalist the best of luck in this competition, it’s fantastic to see so many women being recognized for the work they are doing to make their business a better place for employees. We look forward to the announcements of the finalists on 26th September.